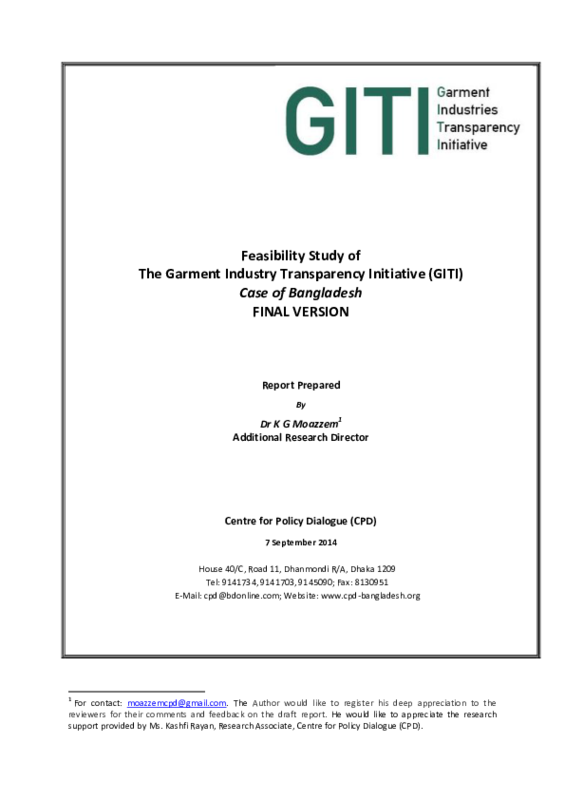 In April 2014, the multi-stakeholder Advisory Board of the Initiative has advised the GITI team to commission two GITI feasibility studies in Myanmar and Bangladesh to assess the preconditions for possible GITI pilot processes in both countries. The present study was researched by Dr. K. G. Moazzem in close collaboration with the GITI team and the GITI Advisory Board. The preparation of the study has been supported by the CARE country office in Bangladesh.